Back view of young stylish couple standing on the shore of the sea and enjoying the beautiful landscape together. 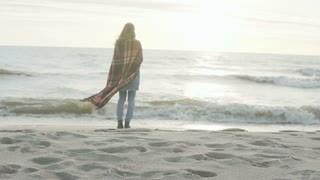 Back view of the young woman standing on shore of sea and looking into the distance. Lonely female enjoy the beach. 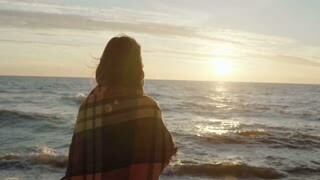 Back view of the brunette woman standing on the shore of sea and dreaming. Young female enjoying the beach and sunset. Back view of young stylish couple sitting at the edge of the cliff and looking on sea, enjoying the beautiful landscape. 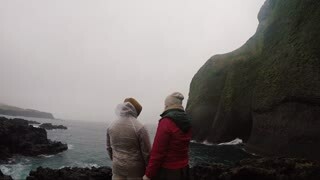 Back view of young man and woman standing on the shore of the sea and enjoying the beautiful view in cold foggy day. Back view of young traveling couple standing on the rocks near the sea and enjoying the beautiful view together. Back view of young beautiful couple standing on the shore of the sea and enjoying the view, turning and going away. Back view of young beautiful couple standing on the shore of the sea together and enjoying the scenic landscape. Back view of young stylish couple standing on the board of the ship with Icelandic flag. Man and woman look on the sea. 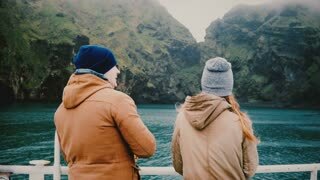 Back view of young traveling couple standing on board of the ship and talking, enjoying beautiful landscape of Iceland.